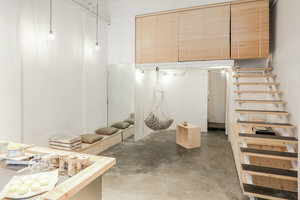 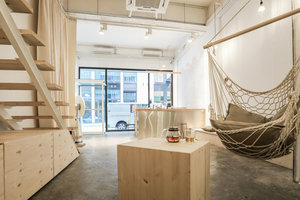 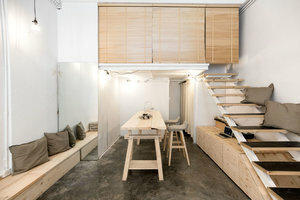 This 350 sq ft space in Causeway Bay is a prime location for creative and edgy brands. 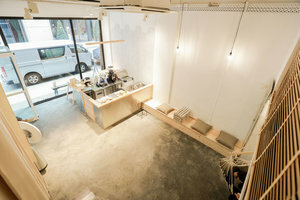 The space is located on the ground floor of a building with a modern style. 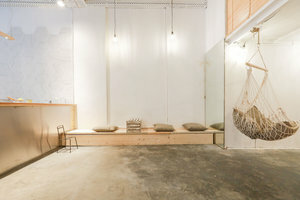 It is a large, open space with a white color scheme - white walls and 13-ft high ceiling in white color contrasting with light grey concrete flooring. 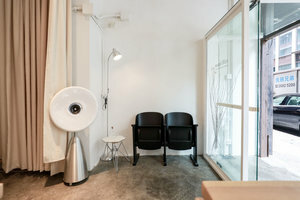 It is equipped with air-conditioning, wi-fi connection, a counter, a fitting room, a washroom, and a large window in the storefront which allows sunlight to burst into the space, creating a warm and well-lit ambiance.